Package directions: 1. 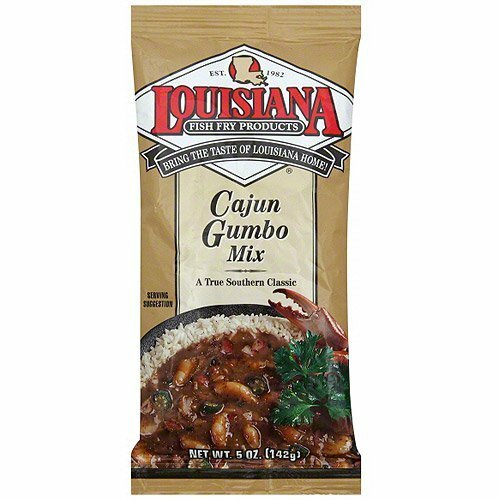 In a 4 quart (or larger) pot, combine 2 quarts of cold water or chicken stock and one package of LA Fish Fry Gumbo Base and bring to a boil. 2. Add 2 to 3 pounds of thoroughly cooked meat (chicken/sausage/turkey and/or shrimp) 3. Cover and bring to a second boil. Reduce heat and simmer for 15 minutes (or longer if preferred). 4. Serve over cooked rice or pasta and enjoy. If you have any questions about this product by Louisiana Fish Fry Products, contact us by completing and submitting the form below. If you are looking for a specif part number, please include it with your message.